A gifted composer and guitarist capable of successfully embodying contemporary blues and soul within the singer-songwriter figure, Woody Russell is one of the most inspiring and interesting musicians I met during my stay in Austin, Texas. As the singer and guitarist of an early incarnation of the Eastside Blues Syndicate, I enjoyed Russell’s performances at Kenny Dorham’s Backyard and repeatedly at the Historic Victory Grill. He assumed the responsibility of being the frontman, and certainly showed care and respect for what and where he was playing. At the same time, he used the tunes as frameworks for exploring his own musical voice, perhaps trying to avoid a plain recreation of a music and time that isn’t his. In contrast to many guitarists that sought attention with volume and fireworks in the somehow battling 6th Street, Russell’s defining characteristics well may be his control of dynamics, expressiveness and sensitivity, not to mention his funky pulse and fiery attack. Having “discovered” him at the blues jam sessions at the Victory Grill –where I saw his spontaneous band-interpretation of traditional blues, I can’t help but associate Woody Russell and his musical talent with the magic of East 11th Street. However, though still in touch, he is no longer part of the house band. Seen from the distance, it looks like Russell has been very active working on his personal project, as well as collaborating onstage with many musicians in different settings. He has also been a featured artist on the first season of the nationally syndicated television show Troubadour, TX. On the debut episode, Russell performed a substantial rearrangement of his original “The Skin I’m in”, a song he first released in 2001 and has recently earned him a wider critical acclaim, becoming not only an appealing and recognizable single record but also showing evidence of his fruitful stylistic evolution. Taken as a whole, Russell’s trajectory is one of an eclectic artist who soaks in a wide-ranging amalgam of styles and influences, spilling the mix into a pop-song palette where he feels free to play around. Emphasizing musical communication from a searching perspective, he is currently working on the independent release of his new album Delicious Days, with which he aspires to climb a few more steps in the music business stairway. Deeply invested in this revealing project, Woody Russell is confident on its value and potential, and the online audio samples –which range from soul grooves, bluesy and jazzy phrasing to pop ballads and smooth, chill-out sounds, announce a consolidation of his eclectic and imaginative character. I was born in Portland, Oregon. We lived in Cleveland, Ohio for a little while and then landed in Montana, that’s where I spent most of my youth. I moved to Seattle when I was about nineteen, and I came to Austin about almost a decade ago. There’s kind of a Seattle-Austin connection, people from Austin and Texas in general would be in Seattle touring and come to a restaurant or a club somewhere we were playing at and said: “Man, you gotta come down to Texas and play!” So I already knew about Austin scene before coming over here… I just picked it up and brought it down here. How did you actually learn? I was largely self-taught but I did take some lessons when I was very young as well as all the way into adulthood, actually. But mostly from listening, I think that’s the critical way to learn. You have to listen when you play with the band, so the best musicians are the best listeners too. What music where you listening to back then? Oh man, we had a lot of music in the house. We had country music and we had FM radio. It was quite healthy back then. This is in the late 70s and FM radio was still fairly adventurous. And I grew up in Montana so my musical resources weren’t really broad, so whatever was on a couple of FM stations that I could get on this really cool little radio I had. That was an important part of the background. My dad was a big music fan. We had some jazz, singer-songwriter stuff… we had quite a few records but I spent a lot of time with the radio on, really. It was all about albums. You could hear Pink Floyd, early Fleetwood Mac, a lot of seventies rock and blues… the genre definitions weren’t so delineated like they are today. We didn’t have a rock station, an urban station and a country station. It was all mixed up at the time. Well, what I know of it is probably fairly limited but I started hosting the Victory Grill blues jam about six months ago. That place in particular is just… you might consider it to be the original home of the blues in Austin. That stage has hosted legendary blues talent like B.B. King, Bobby Bland, chitlin’ circuit talent, Billie Holiday, James Brown, Tina Turner, T-Bone Walker… The original blues guys took that stage many times during their careers so for me to be part of that venue and carry on the tradition of the blues over there has been extremely important. It’s just a pleasure to carry it forward in a venue that is so historically important in the Austin music scene. The house band that’s working in there now: Harold [McMillan on bass], Roland [Rawles] on drums, and Jose Ruiz, who plays harmonica in my band too… Doug [Marcis] was playing drums for a while -he’s the drummer in my group but is no longer there [Victory Grill] any longer. So that current lineup is really a few weeks and we’re just trying to get it into shape, you know. But Jose has been in my group for about a year. I met him in another blues jam in South Austin and have been working with him. I’ve been just knocked out by his playing. How do you choose the repertoire of songs you play at the jam? I try and bring something new at least every couple of weeks if not every week. And there’s kind of a tradition of playing standards. Some T-Bone Walker, B.B. King… For me, what I’m looking for is the more unique tunes, some stuff by Howlin’ Wolf and Muddy Waters. I’m just looking for songs that have an interesting groove and are just fun to play. I don’t get too cerebral about it. Just choose something we can play, bring it down there and if it works it works, if it doesn’t it’s the way it goes, it’s a jam. We don’t rehearse or anything so we’re doing it right there in that stage. What is the significance of jam sessions? You’re bringing together people that might not otherwise come together to play or know each other until they do play together. I think that’s probably the most important thing, particularly in blues or jazz jams, you got people that are coming together to play this form of music that they love. And that’s how people meet and end up sometimes forming bands and connections. The most important thing is that sense of community it happens at a jam especially when you have players from a certain caliber that really know how to get it on and make it happen. A blues jam and a blues scene in general is just a real big community of players and fans too. Fans make a big difference at jams. People come up to dance or just listen, it’s not only about the musicians. How does the historical value of the Victory Grill relate to its current shape? What I know of it, and I can’t be too judgmental about it. As far as I know, financially is not being funded and at the same time they’re not doing much to upgrade it or keep it thriving, and that’s a bit of a tragedy to me because of its historical significance. Thankfully, it is on the list of historical building in Austin and Texas, and it has its own inherent value because of the role it’s played in the Austin music scene. So I don’t think it’s likely to go away but it could be so much more, I think. One of the things we’re trying to just keep alive over there is that awareness of the building, of the space, of the history. How do you feel about the way it’s being preserved? Well, I don’t know the full scope of it -I’ve only been playing that jam session for about six months or so. But the current situation with the Victory and how it’s valued as an East Austin iconic venue… I think the current state is a little sad. From what I understand the owners of the venue are certainly not putting a lot of funds into maintaining the building much. In fact a few months ago the stairs that lead up to the stage were really falling apart and we had to sort of prop those up and get rid of the old set. It was too dangerous because someone was gonna get hurt. So those little things like that. The sound system, we’re constantly kind of struggling with that. In the summer time the air conditioning is just a bunch of in-wall units, it’s very inefficient. Somebody blasted out the front window a few months ago and raising money to fix that was a sort of an immediate necessity. I think, from what I understand about the East Side, at least in that particular area, it’s getting an update, it’s getting a face-lift. There’s a lot more transcultural stuff happening there. It’s less the dividing line between the white side of Austin and the black side of Austin, or the Latino side of Austin. I think the Victory could be a place that brings a lot of different culture and people together. I think it already does on a Monday night. You see a lot of the best of Austin coming together and playing music. Again it doesn’t matter if you’re white, black, Latino or whatever. Nobody cares in that room and that’s what’s important. I don’t feel like I’m driving into the hood or something when I’m driving over there. I don’t personally care. Contemporary blues has really blurred those barriers between black and white, and this is Texas so obviously we also have a strong Latino community here, and those cats play the blues too. So it has nothing to do with skin color, it’s just a form that we all love. A place like the Victory, being in the East side, has really been a home for black artists back in segregation. It’s nice to be in here playing now without feeling any sense of racial tension in that club. I don’t think we have to wary ourselves with that. Playing the blues in that setting for me has been very valuable and it seems –and I hate to use the term- authentic. But that stage commands a certain respect because of the artists that have been in there. I mean, I’m standing in the same boards that B.B. King, Bobby Bland or T-Bone Walker have stood on, and you can’t just get up there in that venue and fake your way through it. The way I feel about it is very committed to playing the music with soul and feeling, and all of the reasons one would choose to play the blues in the first place. That venue in particular brings it out in some of the best players that are really aware of the value and history of that place. The house band at TC’s has been playing for maybe 15 years, the same guys more or less. That’s not really a jam session so much, that’s just something that those cats do every Monday over there. It’s a bit of a difference. What we have going on at the Victory… there’s great players that come through, also some amateur players that join us, and so you get that mix of people that are pretty well versed in playing and others that are just learning how to play the blues. That’s one way to learn it for sure, throw yourself in the frying pan and mix it up with the guys that play the blues all the time. To compare the two venues… they’re kind of apples and oranges. One is a house band that has been steady for many years and the Victory is kind of a new blues jam scene. So they’re kind of different from one another but each very important in maintaining the blues in Austin. I think the Victory as a venue is just a really unique place. When they built the place it was smaller than it is now. You get the sense when you walk in that place that there’s been a lot of music played in there. We talk about it on stage, how those walls reverberated with a lot of blues, soul and jazz music. There really is a sense that something has happened in there for decades. The sign says “nourishing the soul since 1945” and I truly believe that that spirit still exists. It’s a pleasure playing there, for sure. What role has Antone’s played in Austin? Musicians have come to Austin because of Clifford Antone for the most part and he established, I think, a broader sense of blues back when he opened the first club. The club now doesn’t necessarily focus so much on the blues. It has a much broader reach, rock bands, pop acts, and stuff like that. I think their motto is they’ll book anything with soul [laughs], so that’s good by me. Clifford Antone was a very passionate and important person in the Austin music scene, one of the absolute catalysts for making the Austin scene what it is today. The story has that he would buy clothes, get eyeglasses for some of the older cats that couldn’t see, he would take care of their medical bills, buy them guitars… when he didn’t have necessarily the money himself. He just always kicked back… There’s a great story of Albert Collins coming to play at the club and Albert wouldn’t even ask how much he was gonna get paid. He would just come down, play the club, Clifford would give him the money, he wouldn’t count it, he wouldn’t look at it, just put it in his pocket. And Albert loved the house band that was working at Antone’s, with Derek O’Brien, a guitarist who’s still there every Tuesday. 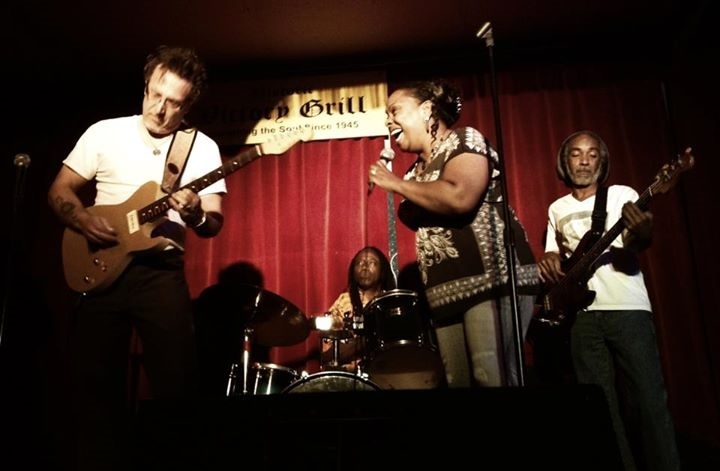 So Clifford was a very compassionate and supportive figure in the music community, especially in the blues community. He took care of a lot of aging blues guys and blues careers that were fading. Well, there’s certainly a lot of recording going on in Austin. There’s a lot of people making records, and that whole industry has changed a lot. You don’t necessarily have to go and do a big, major studio to make a record anymore… a lot of folks to their records in their bedrooms. But yeah, playing live music is certainly something that needs to be cherished. It’s something that audiences can experience right there. The recording industry I think is still healthy… but I’ve been making records independently for a long time. I noticed that some of the records by local artists I was following like W.C. Clark or Dr. James Polk couldn’t be found in stores like Waterloo Records… How has your experience with records distribution been? That’s changed a lot with the Internet. A lot of younger guys don’t necessarily buy CD’s. There’s kind of a trend with vinyl that’s occuring. Some people really dig vinyl. For me, I’m always thinking a little bit ahead of my curve as for what can I offer my fans or my audience that is not only about the record but about the experience of making a record. If I can offer them some videos, some insight into the process of making the record… For the last project we created something called the In Sessions Project which is a look at the making of the record in real time through videos and audience. They purchased the record in advance and they got access to this extra information on the Internet. Things like that we have to look forward and utilize the tools that are available. But there’s still fairly traditional distribution models and place for making the records into stores. You know, a store like Waterloo Records is a pretty extraordinary place but there aren’t that many left that are that healthy and are doing so well. It’s sad to think that a lot of artists don’t have their music in there. I don’t always have my records in there, the new one is. As a record store they’re in the business of selling records and a lot of artists don’t sell enough records to keep their stock in hand in a lot of these places. But you can find just about anything you want in the Internet. That’s where a lot of people are gonna end up shopping. Twenty years from now I don’t think there will be many record stores left, a large majority will be just ordering on the Internet. Using the Internet is not really just an option, it’s mandatory. Well, the newest record [Up Against It (CUTS, 2010)] is a blues and soul record for the most part. The last record I released was kind of based in the singer-songwriter genre, and I had a lot of success with that. I’ve done some big festivals and taken some major stages but wasn’t sure what I was going to do next. Blues has been a huge part of my life so, thinking about moving forward, I really wanted to address blues seriously the way I write and play it. So that’s why I did Up Against It. It was either that or not really putting out a record to be honest with you. How do styles like blues, jazz or soul relate? The blues and soul that I’m talking about… I like sort of the traditional take on that stuff. I’m not opposed to the contemporary blues scene at all but I love Howlin’ Wolf and Albert Collins, and soul music, you know, Stax and early Motown stuff. And both forms if you will are kind of out of the same camp. A lot of the early soul music is essentially blues music, with a little different spin on it. For me, the reason it’s blues and soul is because I think at heart I‘m bit of a soul singer, maybe more than a blues singer. I don’t know what that means really… The blues side is really about the structure and the guitar playing. How different is the music you play on Monday nights and what you play on your recordings? Well, the difference being that the band that plays on Monday is not rehearsed and I don’t play any of the original material. We’re playing songs out of the blues canon if you will, but Up Against It is all original songs that I’ve written, and it’s a completely different band with the exception of Jose [Ruiz]. So yeah, they’re kind of two different things but as far as my own style or my own approach to blues, that’s the same because I play the same way, the only way I know how to play! I’m infusing whatever we do on Monday night with the same spirit that I play on the recording. How do you feel about the dichotomy between feeling and technique in music and how do you approach it to play blues? For me it’s a constant learning process because the guys that I love the way they play do it as if they were having a conversation, as if we’re talking to one another right now. So we’re not shouting at each other the whole time, you know. There’s times when you’re gonna say a bit more and times where you’re not gonna say much, and a few words will do. I think that’s the exact same approach to play the blues in particularly. You’re having a conversation and you’re trying to communicate with a listener a certain feeling or whatever. So if you wanna shout at them all the time, you can do that [laughs] if you need to. But for me, I like to approach that conversation a little more subtly and concentrate on making a few notes count, as if I was carefully selecting the words that I was saying in a conversation. I think it’s more important to communicate than to show your chops or whatever. I think you have to have chops. I don’t think the blues is something that players take lightly. It’s a pretty serious form to play right. Within the limitations of the blues –a lot of guys think the blues is kind of just this simple thing where they can bang around just three chords- there’s a lot of variation, subtlety and a lot of different little voices that you can employ. But the most important thing is to communicate. I mean, any kind of music falls flat if you’re not saying something, if you’re not reaching out and touching somebody’s heart. I have seen many guitar players at 6th street who tend to overplay, perhaps taking too many choruses to play their solos… I not sure if it’s still about the “guitar-hero” figure. Well, I came up in the late seventies and early eighties when excessive guitar pyrotechnics was the name of the game for a while, and though impressive it’s one of those things that –as a guitarist who is sort of impressed and overwhelmed at the same time by some of that pyrotechnic playing, it’s been a constant to remind myself that that’s not necessarily what’s important for being a musician. In fact, it’s one of the least important things. When it’s employed thoughtfully it can be pretty impressive but as a general rule, yeah, you’re right. I mean guitar players overplay, they carry on too long –and I’m guilty of it myself, so I’m not trying to be judgmental. But the thing we have to remember as musicians is that we are communicating to the audience, to the listeners, to the fans, as well as to the other musicians on the stage. You can’t just go after it for yourself. It’s not only about us as guitar players playing the blues. I think there’s a lot more of subtlety and variation brought into it. Jam sessions are notorious for guitar players to carry on forever. During the sixties British bands were very influenced by the music of many of the black American bluesmen. How did they manage to turn the blues, if it was still the blues, into something so successful?? Well, when rock ‘n’ roll in the sense of The Rolling Stones, The Who, Cream or Jimmi Hendrix –even The Beatles draw on some blues influences occasionally, when that stuff really hit I think it was such a new sound and kids really responded to it, they didn’t feel like it was their parents’ music. But all of it was really borrowed by the blues that had just come before them: Muddy Waters, Howlin’ Wolf and a handful of other successful blues at the time. I think it was just something so exciting and new, and loud and sort of threatening to their parents’ music that it became obviously the popular item that it is. Blues-rock is a whole other variation on the blues and it has become very successful because of Hendrix, Clapton and then of course Stevie Ray Vaughan, Allman Brothers and bands like that. I think it served the blues well in that it reminded the kids at the time where this music came from. Artists like Muddy Waters were given up another little boost late in their careers to play in Europe, and were given some respect by the bands that borrowed so much of their material. The Stones would only go and do that show if Howlin’ Wolf was part of the experience… They were paying homage to the guys that influenced them, so blues-rock definitely gave a little boom again to the traditional blues guys. Stevie Ray Vaughan turned a lot of kids on to looking back in the blues canon and discovering Howlin’ Wolf, Muddy Waters, Albert King, B.B. King, and maybe some artists they never heard before. So, if blues was kind of the main pushing force, why did the Stones have to demand that Howlin’ Wolf played with them? Well, talking about the mid-sixties and even earlier white kids weren’t really listening to a lot of black music. Even Elvis in the fifties turned a lot of young, white listeners to black music in general. I don’t think as a rule there was a lot of white audiences listening to black music. If you see some of those old concert films like the Folk Blues Festival films you’ve got these very conservative, young, white audiences sitting there very quietly and focused on these old black artists playing traditional country blues and then very lightly clapping. But these artists came up through juke joints of the chitlin’ circuit, playing the rowdy, party blues clubs… That kind of cross-cultural as well cross-generation thing started happening. I guess younger white audiences just weren’t aware of this music until the Stones, Elvis Presley or whatever helped them understand where this music came from. Considering its evolution, do you think blues or jazz should still be considered black music? I don’t think of it that way. I mean, I never thought that I was a white guy playing black music, probably because I grew up in a time when black musicians were not that unusual. I don’t think black artists feel protective of blues that is such an assertively black music… I don’t know if race is involved anymore, I would like to think not. When we play the Victory it’s a mixed band. We have a Latino guy playing harmonica, I’m white Irish, and black guys on bass and drums, and I don’t think any of us think anything of our skin tones. It really makes no difference. This music was born in Africa and raised in America. It is cross-generational and cross-cultural. I don’t think you can take the black element out of it or the white element out of it. It’s been around long enough to where the racial division is pretty much non-existent, I would like to think. I don’t think I’m offending any black blues artists by playing Willie Dixon. At least I hope not. The thing with the blues is you got to play it with soul, that’s the important thing. Have you ever had the chance to play in Europe? No, I’ve played in Canada and Mexico but have not toured Europe yet. It’s on the burner. There’s some discussion about that happening. I got a time to play with Pinetop [Perkins] downtown one night and that was a real treat. You really get a sense of history playing with someone that is in his mid-nineties. It feels a lot deeper. 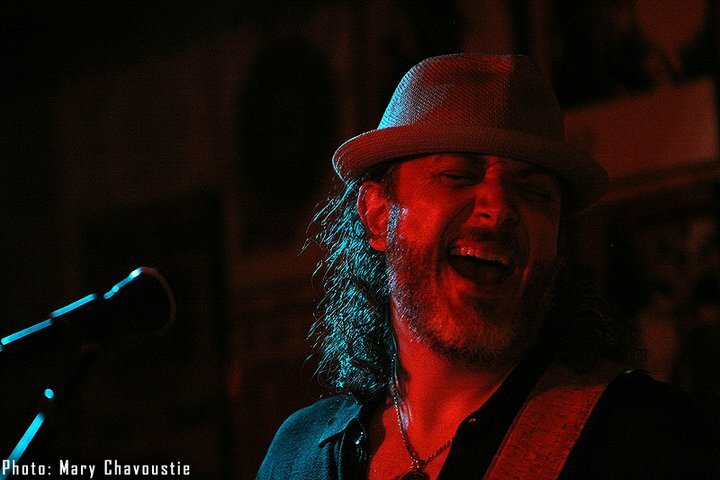 But yeah, we’d love to play in Europe and the audiences I think are really respectful of the blues. So I’m really looking forward to that. Do you have any lifetime favorite artist, record, band…? One of my earliest, most profound influences as a guitarist and musician was Carlos Santana, mostly because he was talking about the very same musical values that I’ve been talking about. Playing with soul, playing with heart, and communicate to the listener. It’s not a self-centered thing to be a musician. To make music that matters, lasts and reaches people you have to communicate, and Carlos Santana was one of the first people that taught me that lesson sort of indirectly. I got to meet him once and talked to him a bit, he has a very powerful presence. His music opened up a lot of doors for me to explore blues and jazz: Miles Davis, John Coltrane, B.B. King… One of my contemporary favorites is Ronnie Earl. I think he’s operating from the same space that Santana has been for his whole career, and I know Santana was an influence on him as well. Robert Cray I think is extraordinary. On a lot of levels he is one of the most brilliant singers in the contemporary blues and R&B world but he’s also one of the most underrated and extraordinary guitar players. I’m talking about patience and soul. Jimmie Vaughan, Stevie Ray of course, extraordinary musicians. I love Tab Lenoir. B.B. King has been very important to me. I think nobody swings quite as hard as B.B. King and specifically his band, always with extraordinary musicians. Ray Charles… the list goes on! [Laughs]. There’s country artists too: George Jones I think is just the perfect example of the white soul singer. Van Morrison… maybe it’s an Irish thing too. I think Irish music in general is particularly soulful and certainly born of struggle a lot of it. I think Van Morrison encapsulates the strange hybrid of early American soul music and this distinct, melancholy, Irish sensibility. What he’s done in the past; just fused it into this incredible take on soul music really. I think of Van Morrison as a soul singer as much as I think of Sam Cooke or Otis Redding as a soul singer. Do you have any other projects or future goals? A daily thing is just try and get better as a musician. To work on trying to make that communication more clear and to be able to play in a way that’s straight from the heart, from the soul, without clattering up with things that I think I should play. Maybe that’s a little too much musician talk, but just getting better as a musician is primary and I work on it every day. Also getting better within the framework of this business; making the inroads that are based on things that I really want to do. Being an independent musician you have a lot of choices. In the Internet you got thousands of companies that are suggesting that you try this or try that or hook yourself into this or that network. It’s gotten ridiculous actually. 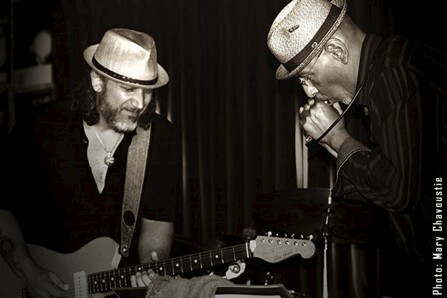 The most important thing, at least in the blues world –in the world that I live in musically, is playing live and making that communication as rich and worrying for not only myself but for the audience and my fans. So I just keep working on creating possibilities for playing bigger shows and reaching people that are interested in this kind of music. Thankfully the blues community around the world is pretty expansive and committed, you can play this music around the world and blues audiences are just the best audiences. They love it, they’re compassionate about the artist and the music. So it’s a good space to be in. East Side Blues Syndicate - I Got Love If You Want It from Josep Pedro on Vimeo. East Side Blues Syndicate - Sittin' On Top of the World from Josep Pedro on Vimeo. Woody Russell - The Skin I'm In from 41 Entertainment.